Last week, I wrote about the death of Queen Charlotte, the wife of King George III, as well as the mother of the Prince Regent and his royal siblings. Even before his mother had been laid to rest, the Prince Regent was angling to take control over the disposition of her property, particularly her large and valuable collection of jewels. Though it was not widely known among the general public, most of the courtiers and the royal family’s intimates were well aware of this quite unseemly and grasping behavior. There are any number of ways in which a Regency author might incorporate the Regent’s rampant greed into a tale of romance set in the last year of our favorite decade, or even later. The disposition of Queen Charlotte’s property . . . It is not clear if Queen Charlotte had made a will at anytime during her life. She may not have bothered, assuming that she would not survive her husband, and thus, the bulk of her property would go to him. Many women in the long eighteenth century did not survive their husbands, primarily due to the risks associated with childbirth. Queen Charlotte had spent nearly twelve years of her life pregnant, yet lived to the age of seventy-four, so she had certainly beaten the odds. Even after her husband’s final descent into madness, for a long time, she held onto the hope that he would recover, which may be another reason why she did not make a will. Finally, in the autumn of 1818, her eldest son advised Her Majesty that her health was failing and her doctors had very little hope that she would recover. In early May of 1818, after she had suffered a particularly severe seizure, Queen Charlotte’s private secretary, Lt. General Sir Herbert Taylor, urged her to make out a will. Though she refused, General Taylor began to gather an inventory of all of her property which might be included in such a document. On and off through that summer, General Taylor presented drafts of a will to the ailing Queen, but she was unwilling or unable to deal with the issue. However, in early November, the Prince Regent was advised that his mother’s condition was steadily getting worse and her physicians believed she did not have much longer to live. Soon thereafter, the Regent paid a visit to Kew Palace and is reported to have said to his mother, "If Her Majesty has any affairs to settle it would be advisable to do so while she has the health and spirits to bear the fatigue." Regardless of whatever hopes she might have had for a recovery, Queen Charlotte was not a particularly sentimental woman, and she accepted the verdict of her doctors. In addition, she finally resigned herself to the fact that time was short and she must make a will. Queen Charlotte then sent for her private secretary, General Taylor. He arrived with the latest draft of a will which he had prepared for her. Though she was too weak to write, they spent some time together while the General edited the document until all of the bequests were to Her Majesty’s satisfaction. Even at this time, the Queen was not willing to give up hope that her husband, King George III, might recover from his mental illness. She required that a clause be written into her will that, if the King should survive her, and recover his mental faculties, then all of the jewels which he had given her should be returned to him. On Monday, 16 November 1818, General Taylor had recorded all of the Queen’s bequests, and made a fair copy of her will. That same day, Queen Charlotte signed it, which required great effort on her part. The will was then witnessed by her physicians, Sir Francis Milman and Sir Henry Halford. The messenger who had been sent to Kew Palace that day by the Prince Regent to inquire after the Queen’s health was also asked to sign the will as a third witness. General Taylor must have been quite relieved to have finally gotten the Queen’s will completed and signed, as well as properly and legally witnessed. And none too soon, for Queen Charlotte passed away on the afternoon of the following day. The late Queen’s will was proved in Doctor’s Commons on Tuesday, 1 December 1818, the day before her funeral. In Britain, a will had to proved, that is, the validity of the document had to be confirmed, in a church court, within four months of the date of death of the deceased. Typically, this required that the executors and at least one of the witnesses appear before a court official to swear that the document was the true will. The executors were then be granted the legal right to administer the estate of the deceased. Her Majesty’s executors were General Taylor and Charles George Perceval, Baron Arden, the elder brother of the late Prime Minister, Spencer Perceval. The value of the Queen’s personal property, that which did not belong to the Crown, was sworn to be just under £140,000. Her Majesty had directed that all of her debts, as well as the legacies and annuities for servants and courtiers for which she had provided in her will, were to be paid from her own funds. If she did not have funds sufficient to cover those payments, she directed that they were to be paid from the sale of as much of her personal property as was necessary. Queen Charlotte knew that financial provision had been made for her sons and her married daughters. Therefore, she left the bulk of her estate to her four youngest daughters, the royal princesses, Augusta, Elizabeth, Mary and Sophia. These bequests were made to each daughter for their sole benefit and it was specifically stated that those bequests would be their independent property, even if any of the princesses might later marry. 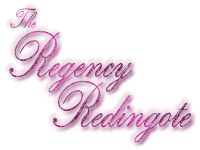 As it happened, both Princess Elizabeth and Princess Mary did marry late in the Regency. Both Princess Augusta and Princess Sophia remained unmarried. The estate of Frogmore, within the grounds of Windsor Home Park, was left to the eldest of the Queen’s unmarried daughters, Princess Augusta, with the provision that if the princess found it too expensive to maintain, the property would go to the Crown, in return for a cash payment of its value to Princess Augusta. All of the livestock, furnishings and fixtures at Frogmore House were also left to Princess Augusta. The princess was very pleased with Frogmore and lived there for the rest of her life. She often had one or more of her sisters at Frogmore for long stays. After her death, the property did revert to the Crown and became part of the greater Windsor estate. Queen Charlotte’s other property at Windsor, the estate known as the Lower Lodge, was bequeathed to her youngest daughter, Princess Sophia. Since Princess Sophia preferred to live in London, so she did not spend much time in the country house left to her by her mother. Despite her real estate holdings at Windsor, Queen Charlotte’s most valuable personal property was her substantial collection of jewels. In her will, she divided them into three categories, those which King George III purchased for her at the time of their marriage, for £50,000; the stunning collection of Indian diamonds, presented to her by the Nawab of Arcot; and the various jewels and jewelry which she had either received as gifts or had purchased for herself over the years. Queen Charlotte included a clause in her will that if her husband recovered his mental faculties, those jewels which he had purchased for her should be returned to him. If he did not recover, then the Queen directed that the jewels which he had given her should become the property of her husband’s German family, the House of Hanover. The jewels mentioned in the second category of Queen Charlotte’s will, known as the Arcot Diamonds, had a rather interesting history. They were a group of flawless, pure white diamonds which had been mined in the Golconda region in southern India, probably in the seventeenth century. The most important stones in the set comprised five very large brilliants, which were either oval or pear-shaped, each of which weighed in the range of 38 to 23 carats. This famous and significant set of diamonds got their name from the title of the man who made a gift of them to Queen Charlotte, in 1777, Muhammad Ali Khan Wallajah, who was the Nawab of Arcot, a city near Madras. This gift was made to Queen Charlotte in thanks for King George III and the British East India Company supporting his claim to become Nawab of Arcot, and providing him ongoing support in his small kingdom. The tale was also told that one of the Arcot diamonds came into the possession of Queen Charlotte by a most curious and circuitous route. In India, one day, the Nawab of Arcot wore a ring set with one of the large diamonds to a reception held to celebrate the birth of a son to the wife of the British Governor of the province, Thomas Rumbold. When Rumbold, who coveted nearly any diamond he ever saw, admired the ring, and asked if he might have a closer look, Ali Khan Wallajah removed the ring and handed it to the governor. Rumbold placed the ring on his finger and thanked the nawab for his generous gift. Ali Khan Wallajah was shocked by this action and immediately explained that he had never had any intention to part with a diamond which had been handed down in his family for generations. Rumbold refused to heed his protests and eventually, the Nawab of Arcot, in need of British support to hold his kingdom, was forced to relinquish his valuable ring. Colonel Sir Alexander Crosby, stationed in Madras at that time, did not care for Thomas Rumbold or what he considered his dishonest means of acquiring the large diamond. Colonel Crosby found an elegant means by which to deprive Rumbold of the ring. The idealistic young colonel prevailed upon the Nawab to write a letter to Queen Charlotte, telling her he wanted her to have the ring as a symbol of his affection and gratitude to her and her husband. The letter stated that Governor Thomas Rumbold, who was returning to Britain, would be carrying the ring in his strong box. The letter arrived in Britain before Rumbold and when he made his obligatory visit to the King and Queen, Charlotte was eagerly awaiting her "gift" from the Nawab of Arcot. Rumbold had no choice but to hand it over. The third category of jewels listed in Her Majesty’s will consisted of the various jewels which the Queen had received as gifts on birthdays or other occasions and those that she had purchased for herself over the course of her long life. In her will, Queen Charlotte directed that all of the jewels in the second and third categories, the Arcot diamonds, and the jewels which she had purchased or had received as gifts, were all to be sold. The proceeds were then to be divided equally between her four daughters. However, it seems that the Prince Regent had his own plans for his mother’s jewels, with no regard for her wishes or the welfare of his sisters. Her Majesty’s executors had many official responsibilities, so they were not able to concentrate fully on the administration of Queen Charlotte’s will and it took them some time to work through all the provisions. Once the will was proved, they felt that their first responsibility was to pay Her Majesty’s debts and provide the annuities she had specified. Those arrangements took several months to complete, during which time, they paid little attention to the Queen’s jewels. However, those valuable gems, particularly the diamonds, do not seem to have been out of the thoughts of the Prince Regent, who had always yearned to possess valuable jewels. It is not clear if he took any overt steps to delay the administration of his mother’s will, but what is certain is that he intended to claim all of his mother’s jewels as his private property. He got his chance in January of 1820, after his father, King George III, passed away. Soon after the death of George III, the new king, George IV, claimed all of his father’s property, as well as his mother’s jewels, as his private and personal property, not the property of the Crown. He refused to recognize the Queen’s bequest of the jewels given to her by his father as the property of the House of Hanover. In fact, he argued that since he was now also the King of Hanover, those jewels actually belonged to him. George IV had most of the larger Arcot diamonds removed from their settings and placed in a new crown which he had made for himself. He also kept the majority of the Queen’s other jewels, though it does not appear that he wore many of them during his lifetime. Therefore, despite the wishes of Queen Charlotte, none of her four daughters ever received any of the proceeds of the sale of her jewels. Her eldest son seized all of her jewels and made use of them as his personal property for the rest of his life, regardless of his sisters’ request that he honor the terms of their mother’s will. Eventually, Her Majesty’s other personal property was sold at auction, at Christie’s auction house, over the course of several weeks, from May to August of 1819. That property included her clothing, her snuff collection and her personal possessions, along with her household linens, china, silver, furniture, books, prints and drawings, all of which went under the hammer. As an avid needleworker myself, I was fascinated to learn that one of the items which had been part of that sale was a fringe-making machine from the 1790s, which had been owned and used by Queen Charlotte. [Author’s Note: Fortunately, that fringe-making machine has survived into the twenty-first century, and was sold a few years ago by Bonhams. The page for the machine can be found at Bonhams’ web site, here.] It is not clear whether or not the four royal princesses received the proceeds from these sales of the Queen’s property, as directed in their mother’s will. It is to be hoped that they did, since their eldest brother had denied them the funds which would have been realized from the sale of their mother’s jewels. George IV refused to part with any of his mother’s jewels until his death, in June of 1830. After his passing, the largest of the Arcot diamonds were removed from his crown and were set into a new crown for Queen Adelaide, the wife of his brother, King William IV. After the death of King William, in 1837, the Arcot diamonds were finally sold at auction, though the proceeds do not appear to have been given to the surviving royal princesses. The Arcot diamonds were purchased by Robert Grosvenor, the First Marquess of Westminster, and remained in the Grosvenor family until June of 1959, when the Third Duke of Westminster sold them to pay the death duties after the passing of his father. The Arcot diamonds were purchased by the American jeweler, Harry Winston, who recut two of the largest to improve their clarity and brilliance. They were set into rings which were sold privately to two wealthy clients in Texas. They surfaced again in 1993, when they were purchased by Van Cleef & Arpels. The largest stone, the pear-shaped Arcot I, was set as the pendant in a necklace which was then sold to a jeweler in Saudi Arabia. The whereabouts of the other Arcot diamonds which had once belonged to Queen Charlotte are currently unknown. Queen Charlotte’s wedding diamonds, those given to her by her husband and bequeathed to the House of Hanover, were held by King William IV, after the death of George IV, since both were also Kings of Hanover. However, upon the death of William IV, the throne of Hanover passed to his younger brother, Ernest Augustus, the Duke of Cumberland. Though Queen Victoria had become the Queen of England, she could not inherit the throne of Hanover, which observed Salic law. That law barred females from the line of succession in Hanover. Queen Victoria had become very fond of a necklace and some of the other jewels which had been given to Queen Charlotte by King George, and wore them quite often. When her uncle, the new King of Hanover, demanded that they be given to him, as the rightful property of Hanover, she refused. Her uncle then sued her for possession of the jewels. It took twenty years, but in 1857, a court decided in favor of Hanover, and Queen Charlotte’s wedding jewels were finally sent to Hanover. Before she relinquished the diamonds, Queen Victoria had the court jeweler make her copies of the pieces in that collection which she liked the best. She left those pieces to the Crown in her will and they are now part of the British Crown jewels. Dear Regency Authors, now that you know something of the grasping and greedy behaviour of the Prince of Wales with regard to his mother’s jewels, might that serve as a plot point in an upcoming romance? Though his actions were not widely known to the general public, most of the members of the court and many in government were aware of his behavior. It appears that he got away with it since his "victims," his sisters, were female and unmarried, and with the death of his mother, he was technically responsible for them, serving in loco parentis. Will it be a topic of conversation among some of your characters who learn of the Prince’s actions? Perhaps one of your characters is a friend of one or more of the royal princesses and tries to find some way to force the Prince of Wales to provide for his sisters? Though the actions of George IV technically occurred after the Regency ended, it was only a few months into his reign as king. Therefore, a story which includes his lust for gemstones would still qualify as a Regency romance. This entry was posted in On-Dits and tagged Art, Books, Clothing, Furniture, Jewellery, Regency, Regency Bicentennial. Bookmark the permalink. I have mentioned the diamonds Queen Charlotte is often portrayed wearing, in Jane tnd the Burning Question; in gratitude for saving his life and capturing the Jacobite terrorist, he sends Jane a parure which is a copy of his mother’s jewels on a smaller scale Jane speculates that he had originally had it made for a mistress, but I am wondering if it had been a copy the queen had had made for one of her daughters. As always, you are welcome to post a link to your story here. It sounds like fun. With regard to the necklace being a copy Queen Charlotte had made for one of her daughters, from what I learned in doing my research, she is extremely unlikely to have done so, as she did not approve of unmarried young women wearing diamonds. She might have had such a necklace made for one of her married daughters, but it would have had to have been a very special occasion. Queen Charlotte was very frugal and did not spend money on things she thought to be frivolous. A pity she was not able to pass that quality along to her eldest son! I love your plot bunny for a romance between regular folks. Romance should not be restricted to the upper classes, IMHO! 😉 In fact, I find such romances can be quite cozy and charming. thank you! Jane and the Burning Question can be found here http://tinyurl.com/ybx996k4, it is a book of short stories about Jane and her Bow St Husband, Caleb. hehe then Jane’s original guess of it having been intended for a chere amie is probably right …. extravagant and yet frugal, he could fob off a mistress with paste. I looked up modern fringe machines; at the low end of the market there is a purely manual one for about £25 which also plaits cords as well as the top to the fringe, but if you want anything more complex it takes a machine starting at £1000 and going way up. I could not find anything in what is essentially the middle range between like Queen Charlotte’s. I do have a very middle class romance in Belles and Bucks, between the niece of a parsimonious and Scrooge-like man and the son of the owner of a shipping company across the street. It can be a rest from high society! Sadly, the modern fringe-making machines have none of the charm of the one owned by Queen Charlotte, or, in fact, any which would have been made in the late eighteenth or early nineteenth century. I guess one can always keep an eye on places like eBay. In 1819, the Earl of Verulam went to Christie’s to view Queen Charlotte’s property (1819 Diary, 6th May); he recorded little in the way of personal feelings in his diary entries, but notably disapproved of the public display – “thought it infra dig”.